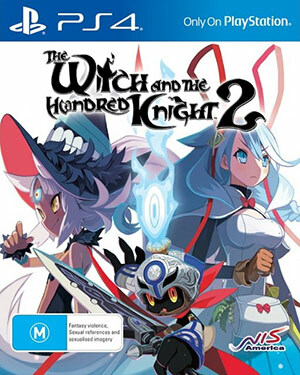 Hack and slash/action RPG The Witch and the Hundred Knight 2 follows the story of distraught Amalie as she struggles to fight against a witch who has possessed the body of her younger sister, Milm. Following the success of the first Hundred Knight title, Hundred Knight 2 bolsters gameplay with a completely new range of characters, special skills, and a slightly better tuned combat system. 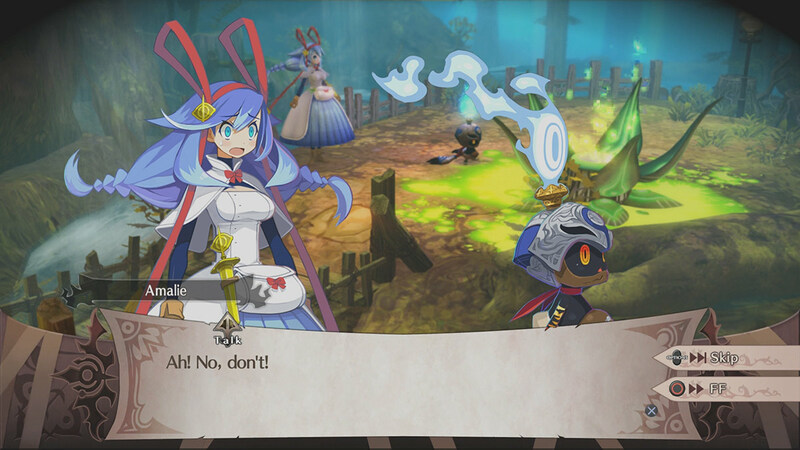 Interspersed by visual novel style cutscenes in which we’re introduced to various characters and their array of motives, the main bulk of gameplay in Hundred Knight 2 is third person exploration, guiding Hundred Knight around randomly generated zones that connect together as part of a larger main area. Gameplay is pretty straightforward: Mashing the attack button will perform your combo, while special skills such as area of effect strikes or summons can be fired at the cost of action points. Between the easy to grasp controls and the heavy density of mobs in most zones, anyone coming from hack and slash games will easily adapt to how Hundred Knight 2 plays out. The intricacies of combat boil down to two key areas which will have a major impact on how you play (and your chances of survival); the ability to change Hundred Knight into one of six different fighting styles, and which of the five weapons you equip as your main combo. The main area where combat becomes interesting is through the use of facets, which act somewhat as equippable classes. These transform Hundred Knight into slightly different versions of himself, such as Power Fortress or Trick Screamer, each preferring a particular style of attack. Versatile players can stick with the default Wonder Knight facet which remains balanced across all weapon types, or choose to flip to a more specialised facet such as the Noble Raptor, a class boasting massive damage potential at the cost of becoming a real glass cannon. The Trick Screamer class differs slightly in that instead of bolstering attack and weapons directly, it focuses on debuffing enemies and increasing the strength and variety of small summonable creatures called tochka, which can be called upon to help take down large crowds or dangerous bosses. 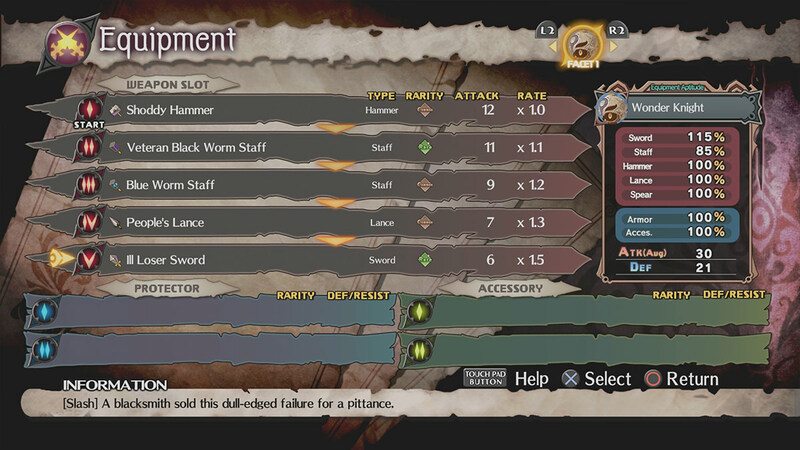 Each weapon available to be equipped — swords, hammers, staves, lances, and spears — has different qualities common to their weapon type, inflicting a particular kind of damage (a sword’s slashing damage versus a hammer’s blunt damage, for instance) as well as specialising in a particular area, such as long range, slow but heavy strikes, or inflicting status ailments through magical attacks. You can choose to use any of your available weapons in whichever choice of combo slot you’d prefer, so the option to open with a big hammer smash or end your combo with a long spear stab. It’s a nice little feature which helps to improve the otherwise repetitive nature of combat; gaining new weapons often leads to dropping them into your combo chain and seeing how they mix things up. 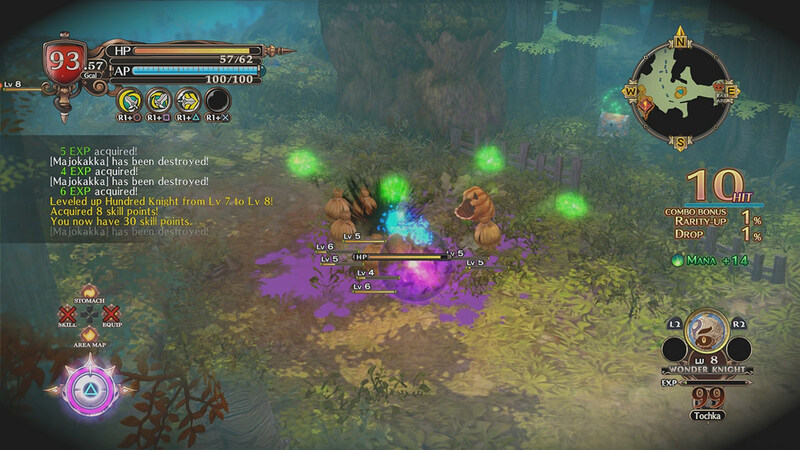 Items are gained in a simple fashion, being dropped at random by mobs or pilfered from treasure chests. Interestingly, drops can’t be used immediately; all loot gets stashed in Hundred Knight’s stomach for safe keeping until you manage to head back to your base or complete the map area you’re battling through. If you’re defeated in combat, a small amount of stashed items will be randomly consumed in order to restore your health, though the generous prevalence of save points from which you can teleport home makes it mostly a moot issue. In order to keep gameplay rolling a soft timer is always in effect in the form of gigacalories, which burn at a continuous rate and are additionally depleted by the act of dodging, which you’ll be doing a lot of to survive the heavy hitting foes you’ll be bumping into regularly. Gigacalories are restored through dedicated items or by consuming part of your current loot haul, and can be burned to rapidly restore health in a pinch, though running out of gigacalories puts you into a severely weakened state and liable to be quickly killed off. While combat is overall pretty solid and smooth, the lack of variety beyond combo customisation and facet flipping makes prolonged play a little monotonous. While Hundred Knight 2 works decently as a “tune-out, run around and grind mobs” kind’ve game, those looking for a rich new action RPG will be disappointed. Between mindlessly slaughtering monsters in zones, you’ll be sitting through a great deal of cutscenes which help to push the storyline along; if you’re not a fan of large amounts of exposition, ensemble casts and strangely written dialogue then this is likely to be a large hurdle. Cutscenes are fully voiced, and the acting quality is decent enough — gamers who play a regular amount of Japanese titles will likely recognise a few actors by their voices, and it’s a little fun to notice. While the acting is on par, however, the script falters, following the same problems of being uninteresting and unnatural sounding, churning dialogue to explain things in a way that feels forced and stilted. A surgeon in an organisation dedicated to working on magical operations isn’t likely to ask for “the magic-proof scalpel” or “the magic-devouring parasite” when simply asking for scalpel or parasite would do. The game also struggles with trying to bring too many characters in for screen time; lots of seemingly-irrelevant or confusing characters come and go, often without fully explaining what their own motives are or what they’re aiming to achieve. Cutting down a lot of the miscellaneous characters and focusing on just the core half-dozen would’ve gone a long way in letting dialogue and cutscenes flesh out the most important characters, giving us as players a chance to actually relate and appreciate them. 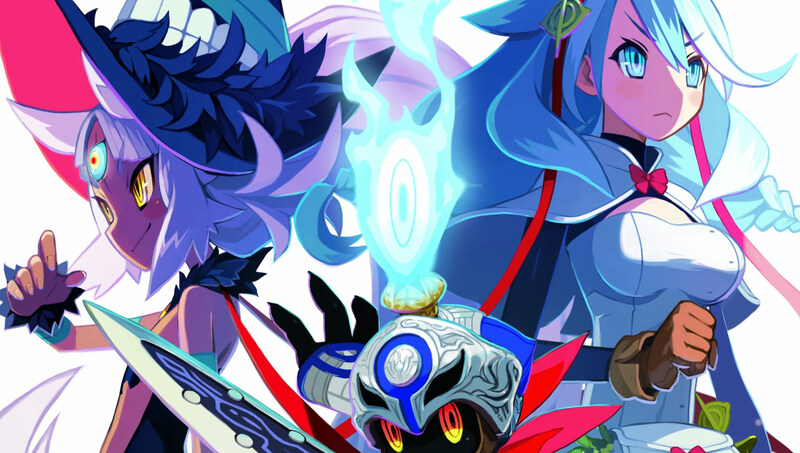 Ultimately, it’s tough to recommend Hundred Knight 2 as it stands. The cutscenes are too numerous and often a chore to sit through, and the core gameplay quickly becomes a mindless grind of smacking mobs while running to the area exit. If a third game comes along, we hope it trims the fat, focusing more on a compelling story around a few strong characters and putting more development time into making combat more fun and varied.